is it really that easy? should i just let em run? how do i get him back if he takes off? should i wait til he is older 6mo. or what? sorry for the lack of knowledge but i gotta start somewhere. I am a noob and really wonder which is a better hunting dog? male or female. any and all advice is appreciated. Not sure if this is the right place for this? Mods. move it if you have to. I am from S.E. 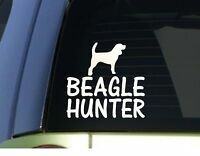 PA and looking for breeders of hunting beagles. Any leads would be great. 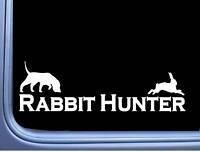 Seems that every hunter I know has friends that USED to run dogs years ago but not anymore. Thanks in advance.